Welcome to Niles Dental, located in Woodbridge, Virginia! At our dental practice, you are certain to find the combination of cutting-edge technology and tried-and-true experience you need for a dental experience like no other. Dr. Raymond Niles, Jr. and Dr. Kathryn Niles-Smith are dedicated to meeting all of your needs in a welcoming, friendly atmosphere with personalized attention and the latest in dental technology. Our skilled dentists are pleased to offer comprehensive dental care, ranging from preventive, pediatric, and family dentistry to cosmetic treatments, dental implants, and orthodontics. No matter your dental needs and desires, we are committed to providing you with the high-quality care you deserve. Dr. Niles and Dr. Niles-Smith love caring for patients of all ages at our family practice. Our team is compassionate and knowledgeable, and we are devoted to doing what’s best for you. 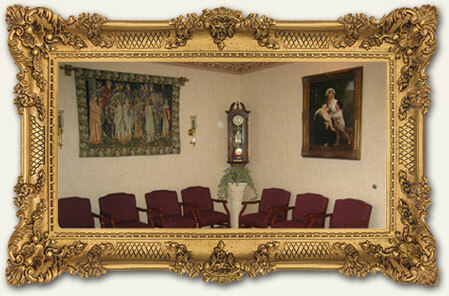 We are also able to accommodate our Spanish-speaking patients. For more than 30 years, our dentists have proudly provided gentle dentistry in Woodbridge, Virginia, and we look forward to many more years of caring for you and your family. We welcome you to call or visit our office today to learn more about us and to schedule your next appointment. We are eager to give you a reason to smile! To provide you with an exceptional dental experience, we use state-of-the-art dental technology and tools, including cone beam 3D imaging, CEREC® digital impressions and same-day restorations, digital microscopes, dental lasers, digital X-rays, and more!